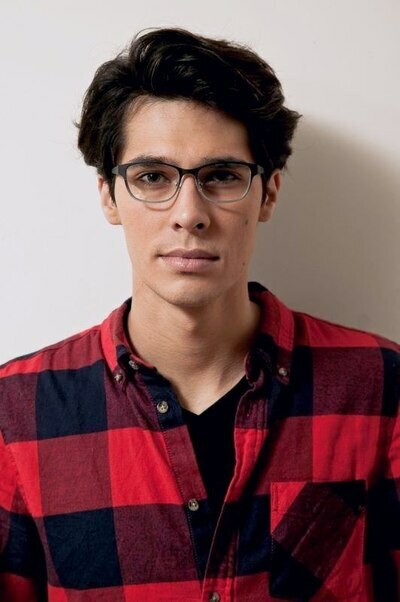 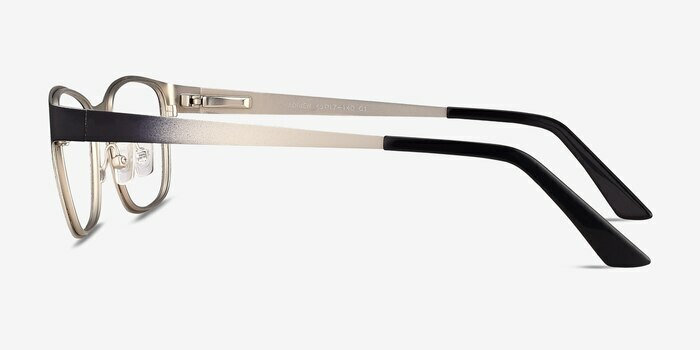 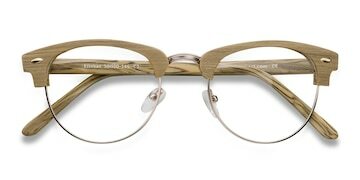 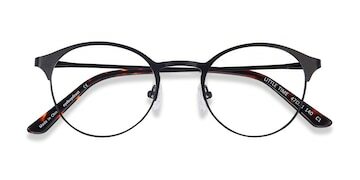 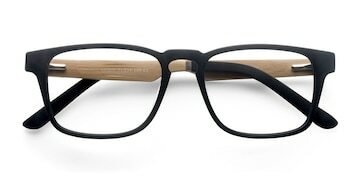 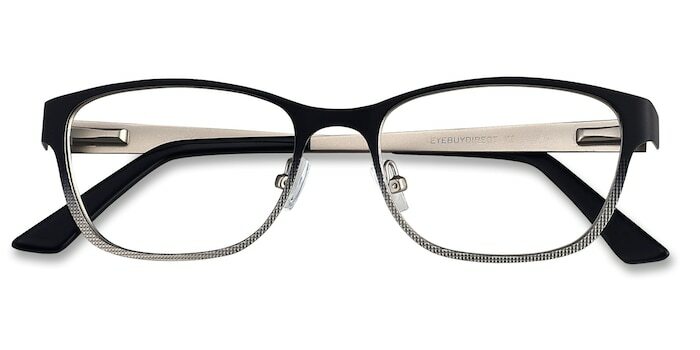 These black eyeglasses are polished and classically contemporary. 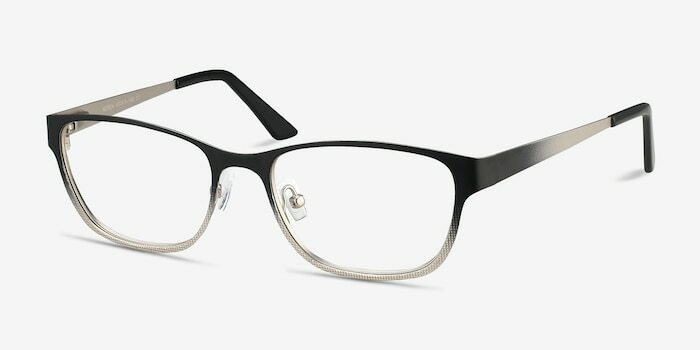 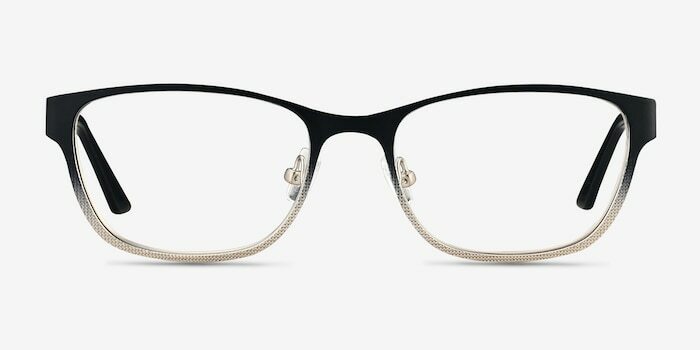 This metal frame has a subtle wayfarer shape with a gray to black color gradient throughout. Plastic ear tips, spring hinges, and nose pads ensures a comfortable fit for everyone.